What is it that is so appealing about doughnuts? At their essence, doughnuts are lumps of sweet yeast dough, sometimes with holes cut into the middle [more on the doughnut hole later], usually deep fried, then rolled in sugar. They go great with coffee, but they’re also great with a cup of tea or a glass of milk. And if you don’t have coffee, tea or milk, not to worry. Doughnuts go great with anything, or with nothing. 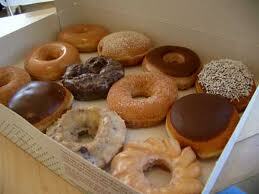 Skip the beverage and help yourself to another doughnut. The first real boost to the doughnut’s popularity began in World War I, when homesick American GIs ate millions of doughnuts in the trenches of France, served up by female Salvation Army volunteers who brought them to the front lines to give soldiers a touch of home. The invention of the mechanical doughnut maker in 1920 by Adolph Leavitt, a refugee from czarist Russia, allowed for mass production of the tasty treats, and opened the door for the eventual introduction of doughnut chains like Dunkin’ Donuts and Krispy Kreme. I’m sure my two daughters still fondly remember stopping at Dunkin’ Donuts after church on Sunday, when they got to pick the three doughnuts that they would devour before the day was over, usually before lunch! 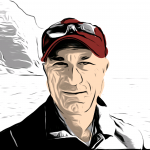 I remember, not so fondly, the sometimes agonizing decision process–cherry-jelly filled or maple glazed, chocolate-glazed or French cruller, vanilla with sprinkles or blueberry, the seemingly limitless choices that had to be evaluated, all while the line of customers behind us grew more and more agitated. All worthwhile when we took the first deliciously sweet bite. Despite the ubiquity of the venerable doughnut,, Americans have no special claim for primacy in the realm of fried, sweet dough. 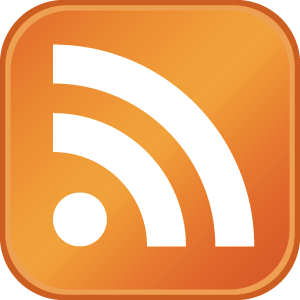 Almost every culture has its own version of or variation on the doughnut. Wikipedia lists 83 countries with special fried, sweet dough confections. 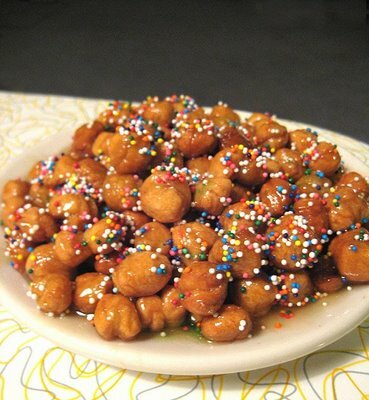 Growing up in an Italian-American family, I, of course, enjoyed struffoli [shown at left] at Christmas and Easter, and zeppole at festivals and fairs. I’ve also tried and enjoyed Pennsylvania Dutch funnel cakes, Mexican churros, and French beignets. I still have over 75 versions to try, but so far, my favorite is the malasada. Malasadas were brought to the Hawaiian Islands by early Portuguese settlers and are a variation on Portugal’s filhós. They are small balls of yeast dough deep fried and coated in sugar. 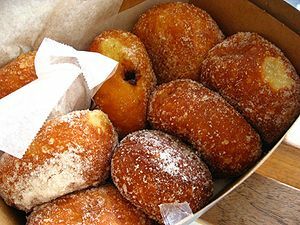 As the story goes, Catholic Portuguese workers who immigrated to Hawaii in the mid-19th century [a decade or two after Captain Hanson Gregory was inventing the hole in the doughnut] wanted to use up their sugar and butter before the season of Lent, so they cooked up huge batches of malasadas and shared them with their neighbors. The malasadas were so popular that Shrove Tuesday, the day before Ash Wednesday and the start of the Lenten season, is called Malasada Day in Hawaii. I first tasted a malasada while on vacation on the Big Island, Hawaii, a few years ago, while driving from the Kailua-Kona area to Hilo. Outside the little town of Honokaa, we stopped at Tex Drive-in for a taste of their “world-famous malasadas.” We bought a half-dozen, each freshly cooked in hot oil, filled with a fruit jam, and dusted with powdered sugar. They were awesome. When I finished wolfing down my fourth malasada, I realized I should have stopped at two, but despite some minor indigestion, I knew I’d want to come back some time and try some different varieties. We haven’t returned to the Big Island for several years, but earlier this month we were on Kauai for a few weeks, and went hunting for malasadas. We found that the most popular spot for malasadas was a pop-up stand outside the front entrance of the K-Mart in Lihue, called Kauai Malasadas, operated by the delightful and personable Marlena Bunao. She offers only two varieties, sugar-coated and cinnamon sugar-coated, and sells three for $1.50. The posted hours of operation are Monday through Friday from abo ut 10:00 am until the malasadas are all gone, but the first two times we stopped by, once around 2:30 pm and a second time at 10:15 am, the stand was closed. We almost gave up and shelled out $11 for a plate of four custard-filled malasadas with chocolate dipping sauce at Merriman’s in Poipu, but decided to hold out for the real deal from Marlena. Two days before we headed back to the mainland, we were rewarded for our patience. It was almost 4:00 pm, but as we were driving back to our villa from the beach at Poipu, Debbie noticed that the stand was open. I wheeled our white, Chevy Impala rental car into the K-Mart lot and raced up to the stand. I anxiously waited in line while each of the three people ahead of me ordered a box of 12 or a bag of six, and the supply dwindled to almost nothing, but when I got up to the stand, Marlena was happy to give me six malasadas, three traditional and three cinnamon. I took them back to the car and Debbie and I started eating them. They were freshly-made and still very warm, golden brown and crusted with sugar, airy yet slightly chewy, in a word, they were wonderful. I went back to talk with Marlena and she was graceful enough to pose for the photo on the left. Marlena told me she usually arrives around 10:15 on weekdays, taking about 45 minutes to heat the oil and get everything ready, so if I wanted to come back, she’d have some ready to serve after 11:00 am. The next day, on the way to the beach, we stopped again, and the stand was open, so we shared three malasadas, getting our day off to a delicious, if not very calorie conscious, start. 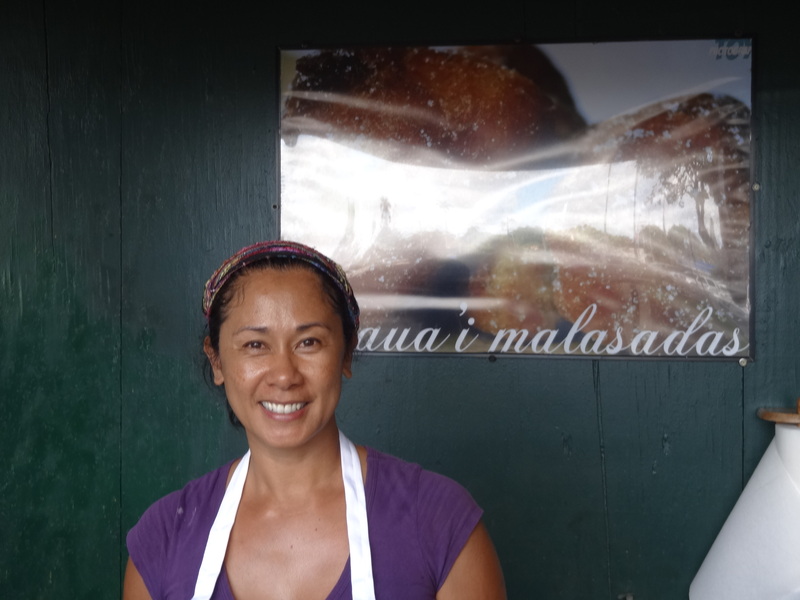 If you get to Kauai, find a way to get to Kauai Malasadas, say hello to Marlena, and treat yourself to a few of her malasadas. They’re the best deal in town. And if you have a favorite variety of sweet, fried dough, tell me about it. I’ll be happy to give it a try. 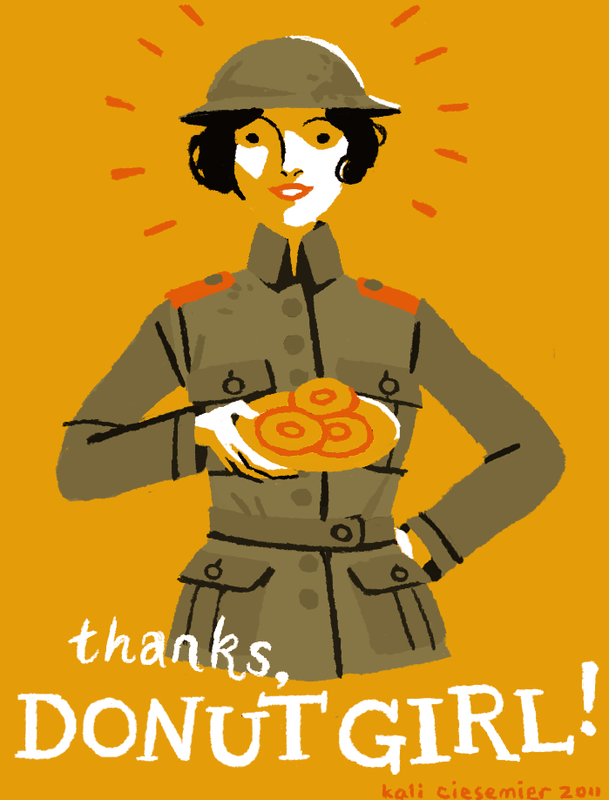 As you’ve probably guessed, I love doughnuts. Oh my goodness…I could almost taste those Hawaiian treats. My mother was a great baker and made the best chocolate coated crullers you ever ate.. I remember delivering papers as a kids on Sunday mornings,we would stop at a local donut shop blow some our tips from the week. Heaven. Thanks Dave!